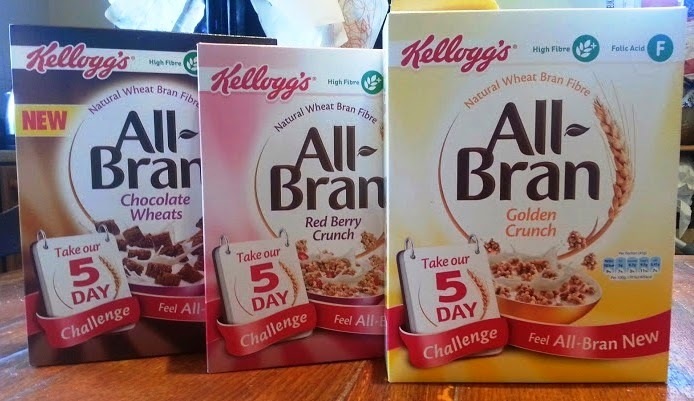 Britmums and All-Bran have challenged real parents to try the 5-Day Challenge and see if eating All-Bran for breakfast for 5 consecutive days helps us to feel more in love with our gut. I'm quite attached to my gut anyway, I use it pretty much every day. I also have a long-standing hernia, so it's probably even easier for me to see the benefit from having regular fibre. First up was All-Bran Golden Crunch. Tasty multi-grain clusters, with a gentle sweetness, these were nice and flavoursome, and my 4 year old thought they were so delicious he ate them every day until they were gone. A little bit sweet for me, but still nice. Next up was All-Bran Red Berry Crunch. 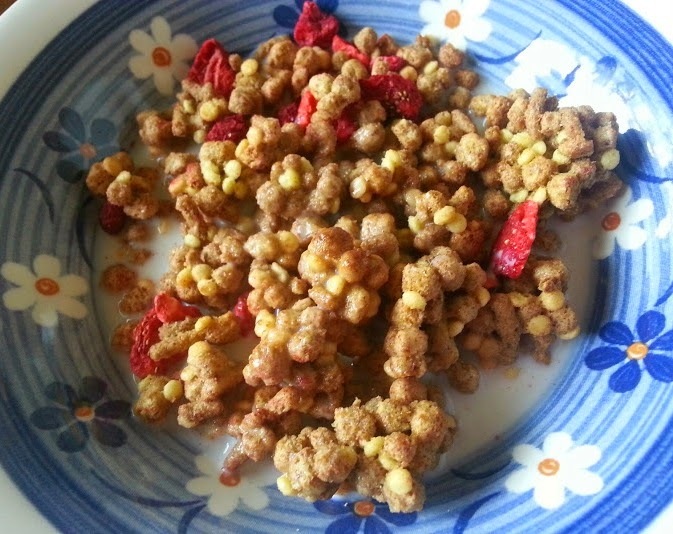 We're very keen on red berry cereals here, and these were one of the nicest I've tried. The fruit has flavour and wasn't tart, and went very well with the clusters of multi-grain. 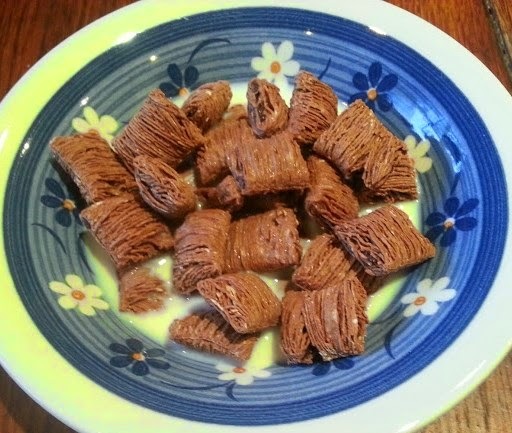 Thirdly (save the best to last) the All-Bran Chocolate Wheats. These are completely different again. Multi-grain, although they remind me mainly of 'wheaty cushion-shaped' cereals, the chocolate taste was really nice. My 2 small boys decided they looked like they were plain chocolate, which meant they wouldn't try them, so a win for me! Of the 3 varieties to my surprise I liked the chocolate best. They're wheaty enough, and the chocolate chunk in the centre gives a really satisfying taste of proper chocolate. 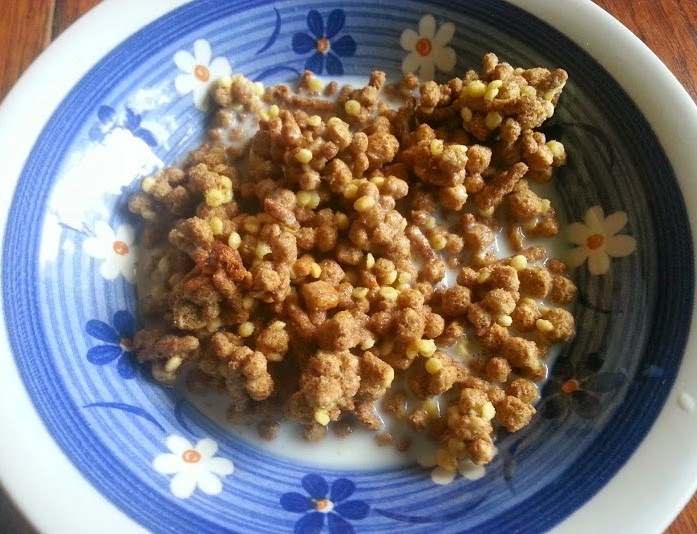 After 5 consecutive days of eating All-Bran cereals for breakfast I did feel less bloated, it actually worked! I think when your digestive tract is moving smoothly you genuinely do get a boost. You have less wind, you feel perkier and you are less sluggish and uncomfortable. Good breakfast cereal is a great way to start the day and will fill you up, give you energy and help stop you feeling peckish and snacking. 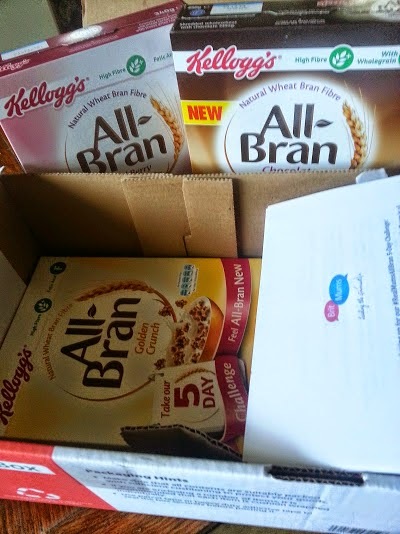 This post is an entry for the Real Mums of All-Bran Linky Challenge, sponsored by Kelloggs. You can find out more about the 5-Day Challenge here. Glad this work for you! I'm not a big cereal person but the red berry look good.